Rick is a graduate of Fordham University and started out in Financial Services as a producer, developing a very successful private practice. As his practice grew, Rick took on the challenge of sales management by helping others around him achieve similar levels of success. Rick remains actively involved in coaching his team on best practices for achieving unlimited growth and he is a sought out speaker both in and out of the industry on entrepreneurial topics including "Taking Your Practice to the Next Level", "Strategic Business Planning", "Attracting to a Higher Profile", "Marketing to a Better Client", "Being the Best You Can Be", "The Art and Science of the Business Market", "and "From Success to Purpose." 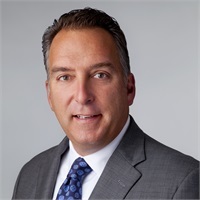 He has been recognized by both the former Connecticut Mutual and MassMutual, receiving the prestigious President's Honorary Award, Management Council and Crystal Achievement Awards as well as the Chairman's Trophy award. Mr. St. Jean has earned many industry and public awards. He donates a generous portion of his time on several nonprofit, industry, and educational boards and organizations. Rick lives in Concord with his wife, Nancy and their two children.